From time to time I’m asked questions about what are the key elements to build and sustain a great call center. Regardless of if you are engaging in a telemarketing campaign, want to lead generation, or need a good customer service department, the principles are the same. Here are this 3 basic ideas I’ve put together after consulting for a lot of call centers over the past years. The first key element is the software backing your call center operation. If you are serious about your call center, please discard any Open Source solution available out there. Don’t get me wrong; I’m pro Open Source and I love Asterisk very much. The problem with some “free” solutions is that they come without the required support to go with your venture. With that said, I believe Asterisk is the greatest and powerful open source telephony platform ever. However Asterisk per se is not a call center platform; a lot of integrations and configurations have to be done on a low level and then you will need to build a management interface for daily tasks, reports, etc. If your plan is not to spend hours and hours dealing with commands and text files, then consider a cost-effective commercial solution. Keep in mind that your industry may require you to be in compliance with specific requirements such as call recordings, encryption or authentication among others; if that’s the case you have to swim towards commercial solutions. Now, consider that a call center communicates not only through voice. Studies shown that interactions with customers, prospects, etc. can also be done through conversations in a chat window, or through SMS or even through tweets; they call it Omni-Channel, Multi-Channel or Open-Channel technology. Is your call center software ready to deal with live chat, SMS, faxes, email, Facebook, Twitter, Instagram and all this wave of different interaction channels? Not less important is to consider CRM integration. If you are thinking of running a great call center, I hope you are considering the use of a good CRM. If you want to live the experience of a window popping up when a call comes in with pertinent data of a caller then your call center software has to ease that. But do not forget the data comes from a CRM and that’s why integration is needed. If you are reading this in the 21st century, I assume by now you already know the benefits of using VoIP instead of the traditional TDM circuits to run a call center operation or any other business. VoIP gives you the flexibility and scalability that leverage your growth without hurting your wallet while increasing productivity. However people forget that this infrastructure involves also network infrastructure: your switches, your firewall, your Internet router, Wi-Fi access points, and even your cabling. VoIP is a network application so make sure your IP network runs fine. Do not use “home office” switches or routers to run call center applications. And this has nothing to do with the cost; not because it’s more expensive, it means it will work better. It means business or enterprise equipment has been built to support more sessions, bigger capacities and also offer you more management capabilities. If you are not sure what to get, then trust the big brand names; you’ll never go wrong with Cisco even though it’s “refreshed” or refurbished. Infrastructure for VoIP also touches endpoints, and this refers to desk phones, headsets, computers, etc. 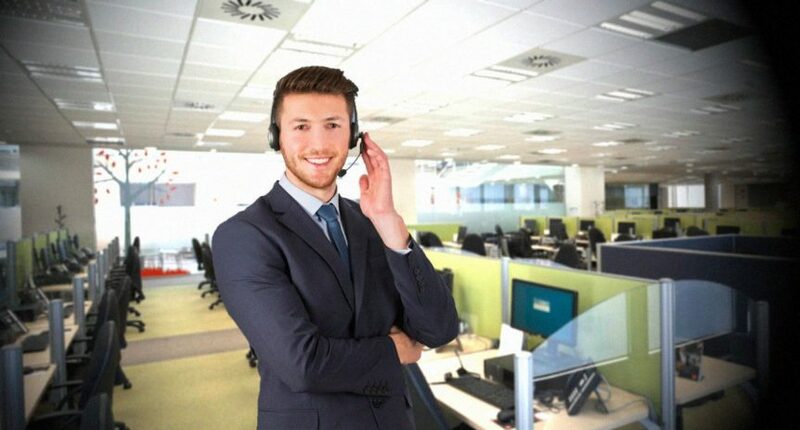 I like it when my call center customers combine a superb desk phone, a professional headset and a decent desk or laptop computer. As said, a good station do not need to be the more expensive, but it has to follow certain requirements. Some people prefer soft-phones which is a software that emulates a phone into a computer; they do that to save on desk phones and also because they can use reduced desk space. There’s no good or wrong with that. So a computer with at least two cores, decent memory and enough disk space should do. Consider Windows, MacOS or Linux based computers; I do not recommend Chrome books. The problem with ChromeOS based desktops is, at the time of this writing, the compatibility of certain applications; so even though you could expect support for call center applications under ChromeOS you will find issues with other day-to-day applications. Finally, don’t forget software runs on hardware. So consider a good hardware for the server that runs call center software. Never consider virtual servers for a call center environment. I’ve been in the industry since 1999 and virtual machines have issues with RealTime Clock (RTC). For sandbox or lab environments feel free to to virtualize your server. However if you are serious about a call center operation, then run always on dedicated real hardware either on premise or on the cloud. You will save a lot of headaches associated to call transfer, conferencing and transcoding among other known issues. Your call center operation is not isolated from the outside world so there’s got to be open windows and doors to let people come in and out. To connect to the outside (to make and receive calls, SMS, etc.) you will need service providers. Prefer those service providers with elastic services. That means you are not tied to a contract neither are limited by an initial capacity. When in the market for services providers ask questions such as: “How quickly can you enable a SIP trunk?” or “How fast can you enable a Toll Free for me?” or “Can I receive SMS through my main phone number?”. if you are not sure about your capacity, consider service providers that offer metered phone numbers (or DIDs) and metered SIP trunking; this means you don’t have to pay for a fixed capacity and you will pay only for what you use. Isn’t that neat? Why would you pay for a T1 uplink if you only use a few channels? or why to get in a contract for 24 simultaneous calls if you have peak days where you need 35? The more flexibility with a service provider the more the benefits for you. You will also have to ask another questions such as “What fraud prevention mechanisms you offer?” or “Can you restrict my service to these specific locations?”. In sum, make sure your service provider understands the collateral security concerns that come with communication technologies. And you are not wrong if you want to add the help and guidance of experienced consultants or specialized communication’s solution providers and last but not least a great, talented and passionate human resource. At the end of the day if your business runs on a technology you got to make sure you can support it.